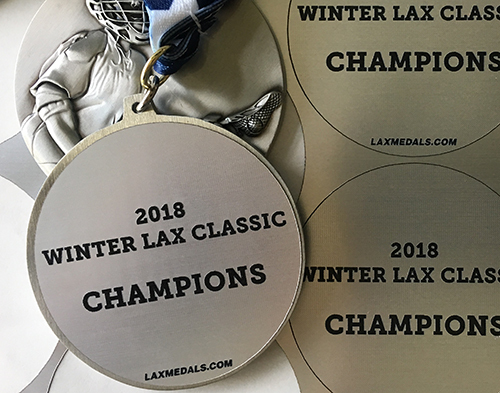 Standard color plating chart for our custom lacrosse awards and lacrosse medals. 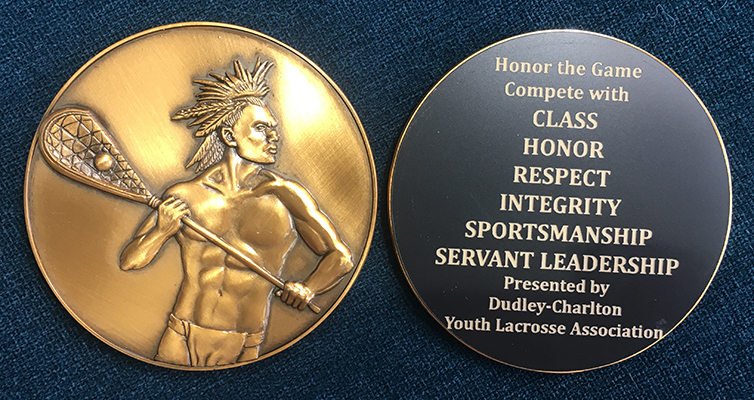 Laxmedals Traditions Lacrosse Award medallion. Polished Gold, Polished Silver, Polished Copper. Antique Gold, Antique Silver, Antique Copper. Matt Gold, Matt Silver, Matt Black. Sample of recessed enamel fill. Sample of 2D text with recessed #1 texture. Sample of etched laser engraving sticker. Sample of basic laser engraving sticker. Sample of hardened enamel finish logo. Sample of epoxy enamel fill. Sample of two-tone gold finish.